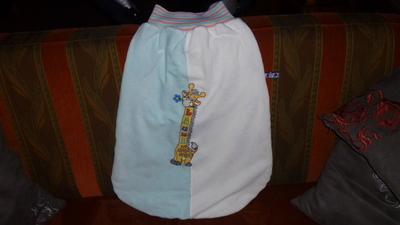 I have a cuddle bag for my grandson who will be born in August, sewn and embellished with the giraffe alphabet. The back with stars and the birth year of 2014. I look forward to the little treasure. How is a cuddle bag used? That is a new term to me. So sweet. You don't have long to wait to see him with the bag.